My boyfriend and I have been dating for over eight years now and we’re seriously discussing marriage. I’m not sold on the whole marriage thing — I don’t believe one needs to be contractually committed to another person to have a lifelong partnership and a family. It seems that with all of my passionate hatred of organized religion and government getting involved in social freedoms I should not be considering getting “actual” married. Sure, a small ceremony would be nice, but the legal side of it frightens me quite a bit — especially since so many people I know who are older are divorced and worse off for it. While I don’t at all expect to get divorced ever (hey, we’ve made it almost nine years as bf/gf and if we do get married it will be on our 10 year anniversary – by then I think I’d know what I’m getting into) I still don’t know if marriage is a good idea, financially speaking. The way marriage is set up… and the tax laws around marriage… is that you are rewarded for having one working parent and one stay-at-home parent. If you have two working parents and earn reasonable salaries you actually can have what they call the marriage tax penalty. Before tying the knot, I really want to better understand if that is going to cause a fiscal knot in my future bank account. After writing this post, I found this awesome breakdown by Financial Samurai which details out the tax benefits or penalties for different types of married couples — it is a must read! Starting the year you get wed you are officially a married couple in the eyes of the government — even if that happens on the last day of that year. You have a choice now to file married jointly or married separately. If you and your partner both work and make equal salaries, unless you’re low earners like teachers or social workers, you’re going to probably be better off filing separately. The problem is — married filing separately doesn’t actually mean the same thing as filing as a single person. If you file separately while married you cannot take deductions for tuition fees, student loans, social security benefits tax-free exclusions, credits for the elderly and disabled, earned income credit, hope or lifetime learning education credits, child care credits, etc. And if you decide to file separately and one partner wants to itemize, the other partner needs to itemize their taxes too, even if they have no reason to do so. But the bigger issue is for higher income earning couples. As you can see below, married filing separately and single filers do not have the same tax brackets. If you are married filing separately, anything over $74.4k will be taxed at 28%, where if you are filing single you have until $89.3k before you are bumped into the 28% tax bracket. If you happen to earn more than $180k per year as a ginle person you’ll still be within the 28% tax bracket, but if you’re married filing separately you’re going to pay 33% for any income over $113.4k. Of course if one parent works and the other doesn’t the tax table works in that couple’s favor. I.e. say I work and make $200,000 per year and my husband stays at home and makes sure that the kids eat and don’t die — filing jointly we could remain in the 28% tax bracket, whereas if I were filing single and not married my top income would be in the 33% federal bracket. This all seems like marriage isn’t the best idea unless I plan on remaining unemployed and being a gold digger the rest of my life. It’s hard to know what the future holds, but the reality is that marriage might not be the best idea financially speaking. In fact, if I get married it will be likely that my husband and I will each earn around $130k AGI each, or more. If we earn $260k jointly we are in the 33% tax bracket. If we each earn $130k and file separately we are also in the 33% tax bracket for every dollar earned over $113k. BUT if we weren’t married at all and earned $130k all of our income would be in the 28% tax bracket. Am I missing something here, or is marriage just a big scam to get us to pay the government more of our hard-earned money? This article seems to make the case that marriage isn’t worth it — unless you plan to have only one working partner or both be very low income earners. BONUS: You can get joint health insurance if one partner has it through work… this isn’t a tax benefit but it is a benefit to being married. PENALTY: Miscellaneous deductions can lower taxable income, but they need to add up to more than 2% of AGI to actually matter. If one spouse has these deductions but the other doesn’t, it can be a big headache since both spouses have to itemize if one does. That also can cost more to prepare since it’s no longer standard TurboTax click click and done. BONUS: If you’re married and own a home with your partner, you can take $500k in gains tax free when you sell for your next house. If you’re single you only get to take $250k in gains. That said — most of us won’t have more than $250k gains on a property because we’re buying houses that at most are $1-$1.5M. Aimirite? PENALTY: Obamacare requires an additional 3.8% tax on net investment income when gross income exceeds $200,000 at a single tax payer… BUT $250k as a married couple. So basically if you earn $125k each (totally normal in cities like San Francisco or New York) you are going to pay a lot more on your investment income. Being single and making under $200k is a lot more reasonable. PENALTY: To deduct unreimbursed medical expenses they must be more than 7.5% of your AGI. If one partner has a big surgery that costs a lot and cannot work during the year — and is single or filing separately — he can take that deduction. But if the couple files jointly and the other partner makes a lot more then the deduction is harder to obtain. PENALTY: If you make more money, more of your Social Security is subject to tax. You’re better off filing single vs married to keep more of your SS benefits. Also if you are a couple with two working partners — you’ll end up with more social security in the long run if you remain single! PENALTY: The AMT (Alternate Minimum Tax) exclusion for two unmarried individuals is much lower than that for a married couple, and this can cause upper middle class earners thousands of dollars in extra tax each year. PENALTY: If a couple is unmarried and, say, the woman owns a house in her name and the man gets sick and relies on Medicaid to pay for a nursing home, Medicaid cannot come after the house that the woman owns. However if they are married they can take the house away! PENALTY: The Roth IRA contribution limit for a married couple is lower than it is for two single individuals! If you’re a single person you can invest $5500 per year in a Roth IRA if you earn less than $114k per year (AGI) — BUT — if you’re married, you can only earn $181,000 jointly to invest in a Roth. That’s $47,000 less income you can earn and still be eligible to invest in a post-tax IRA account. PENALTY: Write-offs from rental real estate can be used to offset ordinary income unless your AGI exceeds $150,000. That is — $150k as a single person or married — that amount is the same! Ahh, what’s that smell? 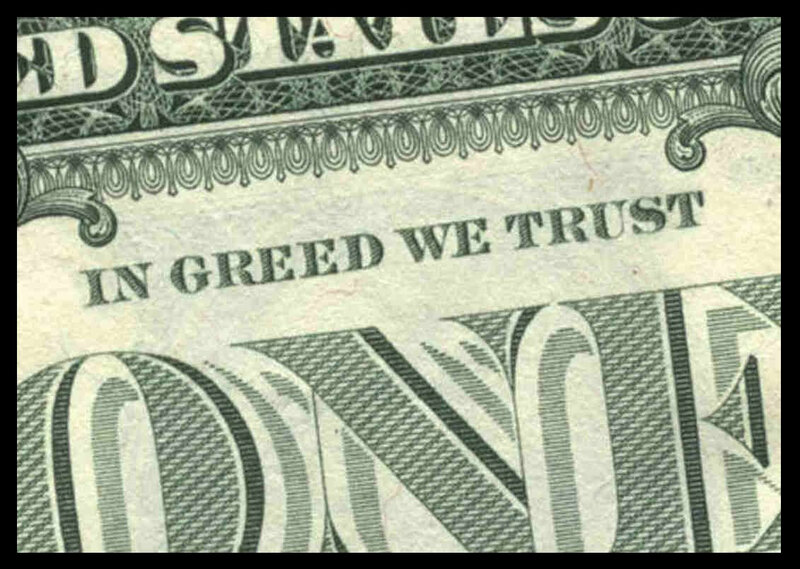 American Greed? We 99%ers love to call out the 1%. Some get to the 1% with hard work and luck, but many are placed there due to being born into privilege and likely a sizable inheritance. Others weasel their way into wealth. Few can get there in a way that wouldn’t make some “kooobaya-type god”scream mercy. Regardless of how the 1% made it to the top of the fiscal food chain, they can enjoy a whole host of benefits staying there — private jets, beautiful women, more beautiful women, houses, yachts, and — last but not least — some really tricky tax breaks so they can just keep accumulating more and more wealth! Here are 10 tax breaks that only the super rich enjoy. Read ’em and weep. Selling a House and Paying Taxes? Yea, Right. As I’ve been running calculations on whether or not it makes sense to do a Roth Conversion, I came back to the question — what will my effective tax rate be in retirement? That’s a question a lot of us considering a Roth Conversion should ask, but it’s not one that is easy to answer. What’s important, though, is that the numbers you plug into your calculations are reasonable. After all, expecting a 40% income tax in retirement each year can greatly skew your calculations if in actuality you’ll see a 20% effective tax rate. Move where all the old people live and you’ll be fine.